Are you part of the “1%” in Corinth? 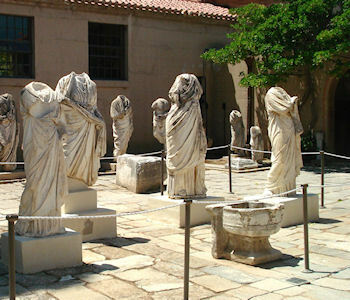 For an authentic statue of yourself, go to a sculpture shop and choose an appropriate female or male headless statue. The artisan will sculpt your unique head and attach it to the statue. Just be prepared to pay with a big bag of coins (paper money and credit cards not yet invented). How do we reconcile these two texts from the same letter? I don’t know how those who read scripture “on the flat” deal with this, but when we understand ancient rhetoric as the art of persuasion, such apparent contradiction makes sense. The first text comes from the opening section of the letter—part of what is called the “thanksgiving.” Paul uses the standard form of a Greco-Roman letter of his day, but he makes a few adjustments. Most letters were short and written to individuals, often by family members. A wish for the recipient’s good health follows the greetings. But Paul writes much longer letters to entire church communities. Instead of a “health-wish,” he includes a thanksgiving (except in Galatians), praising the community and hinting at themes he will discuss later. In thanking God for the Corinthian believers, Paul “butters them up” so they will be more receptive to the criticism that follows. Comparing these two texts makes a good case for reading the New Testament letters as wholes, not simply as collections of separate beads of truth strung on an inspired necklace. 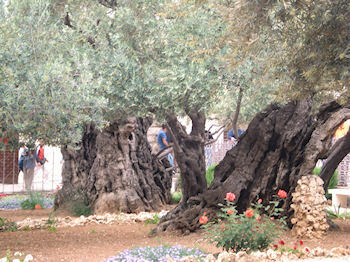 These ancient olive trees are in the Garden of Gethsemane on the Mount of Olives facing Jerusalem. Romans would crucify their victims on olive trees lining public roads. It was effective advertising as a warning against rebellion, and it thoroughly shamed the crucified. In the last blog we set the stage for hearing Paul’s response to the quarreling factions in the house-churches he helped to plant. Paul is deeply troubled by this. “Has Christ been divided? Was I crucified for you?” he asks in 1:13. So, beginning at 1:18, Paul launches into his “gospel,” the theological underpinning of how to maintain unity of purpose within the Jesus-assemblies. If we read 1:18-3:4 in light of the social and political realities of ancient Corinth and the Roman Empire, we would think Paul was either crazy or uselessly hurling himself against an immovable cultural way of life. The “wisdom of this world” (1:20) stands over against is proclamation of “Christ crucified, a stumbling block to Jews and foolishness to Gentiles” (1:23). We must here see the humiliating crucifixion of Paul’s Messiah not as substitutionary atonement but as Jesus’ giving up of political power, honor, and life itself (see previous blog post and Phil. 2:7-8). It is God’s foolishness and weakness that is wiser and stronger than human understanding (1 Cor 1:25). How might this ironic bravado play out among the factions in the house-churches of Corinth? First go back to the descriptions in the last blog, from the “not many” well-born and upwardly mobile, to the poor free and freed laborers, to the slaves without honor. Who would be encouraged by such an upside down political alternative to Rome’s Empire? Who would prefer to integrate Apollos’s wisdom teachings with the attitudes and practices of their culture? But we must not see these divisions as “class warfare,” or that Roman society consisted of upper, middle, and lower classes. 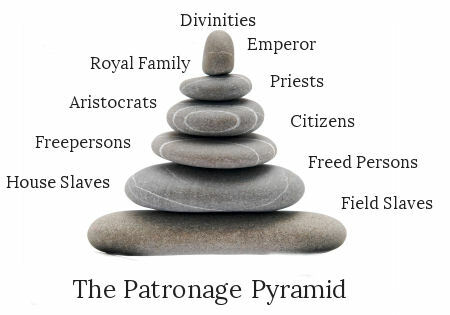 Think rather of a patronage pyramid, where those with more prestige and wealth seek clients to publicly honor them. These clients then depend on their patron for jobs, occasional gifts, or as customers for their products. In turn, clients become patrons to those below them. 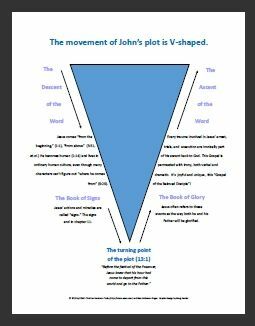 Such pyramids of power, say Jonathan Reed and John Dominic Crossan in their book, In Search of Paul, present “a downward spectrum of patrons from divinity through royalty, priesthood, aristocracy, and citizens, to the free, the freed, the servile, and the enslaved” (p. 298). This system also means that clients cannot think independently of their patron; they must be loyal in order to survive. Now imagine a house-church composed of patrons and clients in permanently unequal relationships who are now expected to share privileges with each other and follow Jesus’ pattern of self-emptying. Will those at the top heed Paul’s call to such counter-cultural behavior? Will those with patrons in the assembly feel free to challenge their patron if his behavior runs counter to Jesus’ gospel? Can poor Jews with stronger ethical instincts challenge those socially above them? What punishment awaits a slave who confronts her master at a worship assembly? Read 1 Cor 1:18-3:4, first as someone with higher social status and then as someone without honor, such as an adolescent slave. How do you react to this text, depending on your place in a Roman Corinthian pyramid of power? Persons I have met from Latin America or the Middle East say that these societies are still organized around patronage. Is this also true of American culture and its political system? Of church politics? Why is substitutionary atonement inadequate to explain “Christ crucified” in this text? 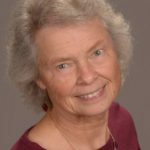 Thank you, Reta, for inviting us to read Paul’s letter in light of these cultural realities. Understanding how various people in Corinth would have been challenged by Paul’s message is very helpful, especially when substitution atonement has been so dominant as the lens in which to read Paul. 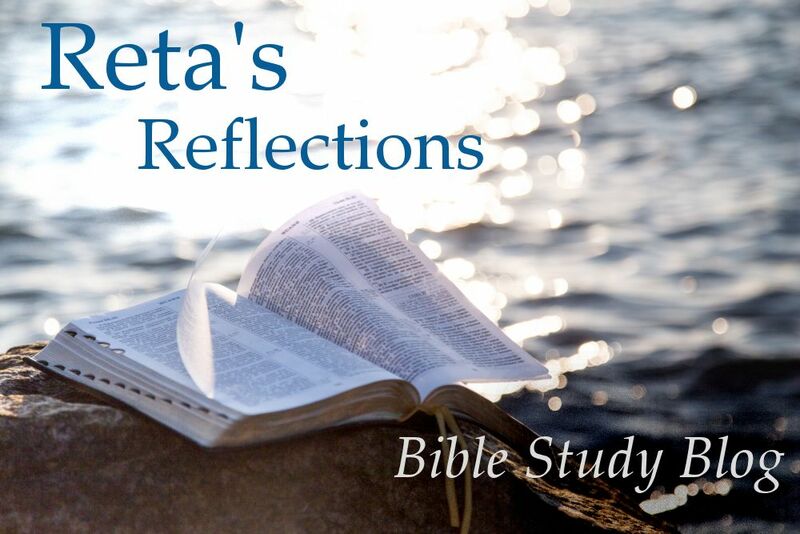 Reta, you are absolutely right when you say that Paul’s compliments in 1 Cor 1:4-7 are there to soften the tone of his later criticisms. You argue the point well. It is hard to think of a single time when Paul compliments his readers and does not later ask them to do better at the same thing. Indeed, I have argued that we should read Phil 4:2-3 in the same light; some person or persons in Philippi had been unsupportive of Euodia and Syntyche, so Paul calls him/them “true yokefellow” to soften the tone of his appeal to him/them to be supportive of the two women. One other thing: you mention elsewhere that there were house churches (plural) in Corinth.1 Corinthians and Rom 16:23 suggest that they all met in the same house. It is true that a group met in the house of Prisca and Aquila in Ephesus and Rome, but this “congregation” probably consisted of just the members of their household. They send greetings to the church of Corinth in 1 Corinthians because they had all moved to Ephesus from Corinth and they therefore knew the recipients of the letter. I think it is unlikely that they would have established a house church in Rome so soon after returning there, unless that house church consisted of the members of their own household. There is therefore little evidence that there were multiple house churches (in the usual sense of the term) in any one city. You may be right about there being only one house church in each city Paul visited. One logistical problem, however, is getting to communal meals in the evenings after dark. Not only would it be a long walk for some people, but I am not sure how safe the streets of these cities would have been at nighttime with so little lighting. If Paul primarily went to large cities as a way to more quickly promote his gospel of Jesus, can we imagine that salespersons traveling around their city and encountering a Jesus-community could start a small group in their apartments half a mile away? In addition, it would have been increasingly difficult to find larger spaces for meeting, since most people lived in tenement buildings or may have been slaves without homes.